Metalor is one of the oldest and largest precious metals refining groups in the world and its gold and silver investment grade bars are highly regarded in both the wholesale and retail segments of the global bullion market. Until the late 1990s, Metalor was owned by Swiss Bank Corporation (SBC). Metalor is unique in that it operates four precious metals refineries worldwide, in Switzerland, the US, Hong Kong and Singapore. In 2016, Japanese precious metals group Tanaka announced that it planned to acquire the entire Metalor group and integrate Metalor into Tanaka’s precious metals operations. The precursor to the modern Metalor refinery was established in Le Locle in the Swiss Canton of Neuchâtel in 1852, as a supplier of gold components to the local watch-making industry. In 1864, the refinery merged with a local bank and expanded into providing bullion to the banking industry in addition to gold alloys to the watch industry. In 1918, Swiss Bank Corporation (SBC) acquired the refinery, at which point it became a subsidiary of SBC. In 1936, SBC’s refining subsidiary was renamed “Métaux Précieux SA Metalor”. In 1947, the refinery moved to a new location at Marin-Epagnier in Neuchâtel, a facility where Metalor’s Swiss refinery facility is still located to this day. The group’s Hong Kong refinery opened in 1982, and Metalor began running its US refinery in 1986. In 1998, SBC merged with Union Bank of Switzerland (UBS) and a majority of the shares of Métaux Précieux SA Metalor were acquired from SBC by a group of Swiss private investors comprising Ernst Thomke, Martin Bisang, Rolf Soiron and Giorgio Behr. The refinery group changed name from “Métaux Précieux SA Metalor” to “Metalor Technologies” in 2001. In the early 2000s, Metalor raised additional capital from another group of Swiss private investors who operated through a British Virgin Islands company called ‘Partners Only’, thereby increasing the shareholding base. Metalor’s Chinese refinery opened in 2006 in Suzhou, 100 kms west of Shanghai. In 2007, Metalor acquired Johnson Matthey Hong Kong Ltd and took over the operations of Johnson Matthey’s gold and silver refinery in Hong Kong. In 2009, a French private equity company called Astorg Partners bought a majority ownership of Metalor Technologies via the acquisition of a majority shareholding that had been held by the Swiss private investors. Some of these Swiss shareholders, such as Martin Bisang, stayed on board with Astorg as investors in Metalor. In 2013, Metalor opened a precious metals refinery in Singapore. In July 2016, Metalor Technologies and Japanese group Tanaka Kikinzoku Kogyo announced that they had signed an agreement whereby Tanaka would acquire 100% ownership of the Metalor Group. 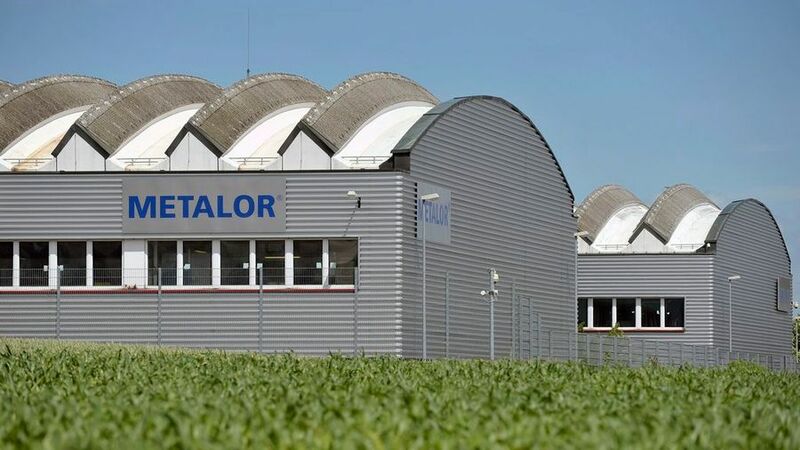 After the group of Swiss investors – Ernst Thomke, Martin Bisang, Rolf Soiron and Giorgio Behr – had acquired the Metalor shares previous owned by UBS in 1998 (see History of Metalor above), Thomke was appointed Metalor chairman until April 2004, followed by Bisang as chairman. The identities of the second ‘passive’ group of Swiss investors that came on board at Metalor in 2004, represented by a British Virgin Islands front company ‘Partners Only’, was less clear. In an article published in 2005, Bilanz, a Zurich based business magazine, thought that the ‘Partners Only’ investors were mainly represented by Swiss executives connected to Swiss company Roche . In July 2009, Astorg Partners, the private equity company, acquired the majority of Metalor shares from the above investor groups, but excluding some shareholders such as Martin Bisang. In 2010, Swiss newspaper Neue Zürcher Zeitung (NZZ) confirmed that a Belgian private equity company called Sofina had co-invested into Metalor alongside Astorg Partners, and that they held a combined ~60% of Metalor shares, leaving the remainder of the shares controlled by Metalor management, Martin Bisang and another investor called Daniel Schlatter. Bisang and Schlatter were both connected to Bellevue Group, a boutique bank in Zurich which also acted as co-lead financial advisor to Metalor in its sale to Astorg over 2008/2009. In July 2016, Metalor and Japanese company Tanaka Kikinzoku Kogyo KK announced that Tanaka had signed an agreement under which the Japanese company will acquire the full shareholding of the Metalor group, i.e. Metalor Technologies International SA. Organisationally, Tanaka Kikinzoku Kogyo K.K is a company within the Tanaka Precious Metals group. Formally, the Tanaka ‘group’ of companies is held by holding company Tanaka Holdings Co., Ltd.
Tanaka Kikinzoku Kogyo is one of the largest precious metals trading and refining companies in Japan and is very involved in the Japanese gold market. Tanaka also operates its own retail gold jewellery and investment bar stores in Japan, and is Japan’s largest bullion retailer. According to the July 2016 Tanaka press release, Astorg Partners holds 50.5% of the shares of Metalor Technologies International SA. Structurally, following the acquisition, Metalor and all of its subsidiaries will become a company within the Tanaka Precious Metals group. Tanaka’s stated rationale for acquiring Metalor includes a) expanding into precious metals refining and recovery in Europe, the US and non-Japan Asia where Metalor is strong but where Tanaka is yet to have a physical presence, b) a desire to enter the Advanced Coatings sector which Tanaka is not yet present in, and c) an intent to combine its electrical contact division with that of Metalor. Tanaka Kikinzoku Kogyo has approximately 2,200 employees, Tanaka Holdings Co has 2,500 employees, and in comparison, Metalor employees approximately 1,700 people. Notably, both Tanaka Kikinzoku Kogyo and Metalor Technologies are members of the LBMA good delivery panel referee, alongside the refineries PAMP, Argor-Heraeus and Rand Refinery, so given that Metalor and Tanaka will become one group, its likely that in future they won’t both be represented on this LBMA referee panel. Metalor Technologies operates three divisions, namely Refining, Electrotechnics, and Advanced Coatings. The Electrotechnics division fabricates silver and other alloys into electrical conductivity contacts used in a wide range of applications. Its facilities are based in Europe, Asia and North America. The Advanced Coatings division provides electroplating solutions and equipment for alloys used in the luxury watch and jewellery sector, as well as fabricating coatings for semi-conductors. This division also produces precious metals powders and flakes for use in photovoltaic applications, touch screens and is involved in nanotechnology applications. The facilities of the Advanced Coating division are located in Switzerland, France, the US, China and Japan. The Refining division refines precious metals from mining output and industrial scrap, and also recasts investment grade precious metals bars (for example from 400 oz bars into 1 kilo bars). Metalor’s Refining group operates refineries in Switzerland, the US, Hong Kong and Singapore. The refineries also operate four “evaluation platforms” in Lyon (France), Los Angles (USA), Lima (Peru) and Hong Kong, which analyse customers’ precious metals laden recyclable materials, and then send this material to one of the four refineries. Notably, all four of Metalor’s refineries, i.e. Switzerland, US, Hong Kong and Singapore are accredited by the London Bullion Market Association as good delivery for gold bar production. The Swiss refinery (Metalor Technologies SA) has been on the good delivery list since at least 1934. The US refinery (Metalor USA Refining Corp) has been on the LBMA’s list since 1987. The Hong Kong refinery (Metalor Technologies [Hong Kong] Ltd) was added to the list in 2001, while the Singapore refinery (Metalor Technologies Singapore Pte Ltd) first appeared on the list in July 2014. Like all Swiss refineries, Metalor’s Swiss facility uses ‘licensed assayers’ or “essayeurs jurés”, accredited by the government-run Swiss Office for Precious Metals Control . These assayers ensure that the assay quality standards of the precious metals processed in the refinery meet the requirements of the Swiss Precious Metals Control law. The construction of Metalor’s Singapore refinery was announced in late 2012 and completed in 2013. The refinery is currently the only precious metals refinery in the nation-state to have been designated as an ‘Approved Refinery’ under the Inland Revenue Authority of Singapore’s Approved Refinery and Consolidator Scheme (ARCS). ARCS exempts precious metals refiners from Goods and Services Tax (GST) on the materials that they import into Singapore that will be processed into Investment Precious Metals (IPM). The Metalor Singapore refinery was added to the LBMA’s good delivery list for gold in July 2014. Metalor’s worldwide gold refining capacity is approximately 800 tonnes per annum. The Singapore refinery represents about 150 tonnes of this total, while the Hong Kong refinery represents approximately 200 tonnes of this total. Metalor’s Attleboro refinery in Massachusetts is notable as being one of the largest processors of scrap gold in the US. Gold output from Metalor’s refineries includes gold bars for investment purposes that are supplied to central banks, bullion banks, industrial customers and the retail market, and gold grain that is used in the production of luxury and high-tech products and that can be refined in purities up to 99.999% for the electronics sector. Metalor refineries also supply precious metals to the two other divisions in the Metalor Technologies group, Advanced Coatings and Electrotechnics. The Metalor refineries also refine silver, platinum, palladium, and to a far lessor extent rhodium, ruthenium and iridium. Metalor is one of only five referees appointed to the London Bullion Market Association (LBMA) Good Delivery referee panel. This panel maintains the LBMA’s good delivery list and monitors the standards of gold and silver refinery members worldwide, as well as vetting new applicants. The good delivery list is a record of which precious metals refineries worldwide have been accredited to a high standard based on the quality of their processes and bar output. Metalor joined the LBMA’s Good Delivery referee panel in 2004, and is one of the few precious metals refineries to be a Full Member of the LBMA. Metalor Technologies has also been a member of the London Platinum and Palladium Market (LPPM) referee panel since 2011. Furthermore, Metalor is one of the few refineries to be a full member of LPPM and a Metalor representative also sits on the LPPM management committee . In Switzerland, Metalor Technologies SA is also a member of the Swiss precious metals industry body, “Association Suisse des Fabricants et Commerçants de Métaux Précieux (ASFCMP), or ‘Swiss Association of Precious Metals Manufacturers and Traders”. Metalors 100oz gold bars produced by its Swiss and US refineries are accepted by US exchange COMEX as good delivery by its 100oz gold futures contract, while gold kilo bars from all four of Metalors refineries (Switzerland, US, Hong Kong and Singapore) are accepted for deliverable against both its COMEX’s 100z and its kilobar contracts. Metalor Technologies is also a founding member of the International board of the Shanghai Gold Exchange (SGE), and a regular member of the SGE. Metalor produces a range of both cast and minted investment grade gold bars. Cast bars are fabricated in the following weights: 100 gram, 250 gram, 500 gram, 1 kg, 400 ozs and 10 tola. Minted gold bars are made in 5 gram, 10 gram, 20 gram, 50 gram, 100 gram and 1 oz weights. Metalor’s US refinery also manufactures 100 oz gold bars that are eligible for delivery against COMEX gold futures contracts. A cast silver bar range includes a 1 kg bar and a 100 gram bar.